This move can help you compete with much bigger rivals. © Getty Images Small businesses can get to know their customers in ways larger companies can't. Even steady customers probably don't know the manager of their local Target or Walmart. They may not even have a real connection with any employee in the store, and they most certainly don't have a relationship with either company's CEO. That's an inherent pitfall of any big business that small business owners and managers can exploit. It's not practical or even possible for big-box retailers to build personal relationships with most of their customers. 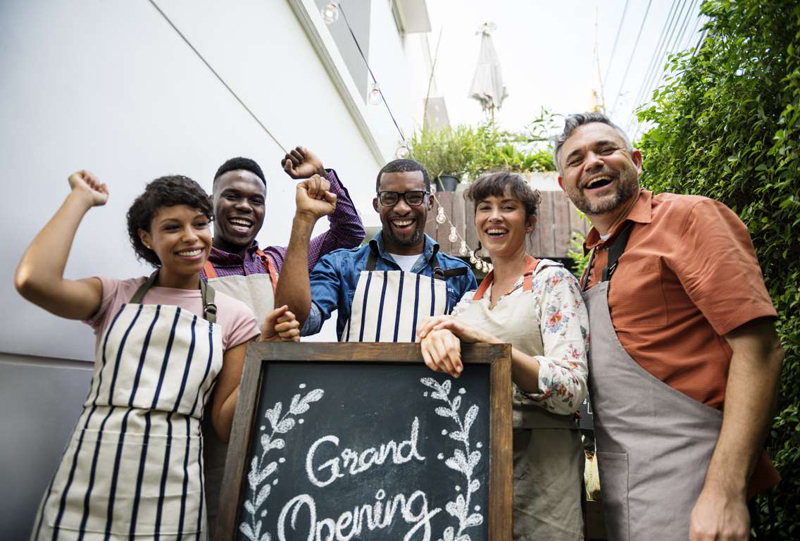 However, if you have a small business, you certainly can and should make personalized service -- and actually knowing your customers -- a major part of your appeal. Back in my days as general manager of a large independent toy store, I made knowing our customers a key part of my job. Even though I had lots of paperwork, ordering, and managing to do, I worked the floor on our busiest days. On Saturdays and school holidays, I roamed the store greeting customers I knew, introducing myself to ones I didn't, and helping visitors navigate our massive selection. The owner took a similar approach. He was not in the store most days, but on weekends and holidays, he was actively connecting with customers -- some who didn't even realize he was the owner. We reinforced those relationships by treating people right. Sometimes that meant setting a rare find aside for a customer who was sure to want it or being honest when someone asked if they should buy their item at a competitor instead. Having personal relationships with customers helped in many areas of the business. We had a strong grasp of how much to order of each item when it came to collectible gaming releases or limited editions. We were also able to draw on our customers to help run events and to serve as a mobile marketing army for the store. The toy store had (and still has) an amazing array of merchandise that you would be hard pressed to find elsewhere. That's enough to get people in the door for browsing, and then often times, they'll make a purchase. But, the selection is not enough to make shoppers a returning customer. Developing that relationship can elevate casual visitors to devoted customers without too much effort. Our goal at the toy store was to make newcomers feel as welcome as regulars. That was important because our store held events and game play where a newcomer might be intimidated by the camaraderie among the participants who already knew one another. We helped overcome that hurdle by making introductions and even playing alongside the new visitor until they made friends. Even if you own a service business or a store that doesn't sell something as fun as toys, it's still possible to make these sorts of connections. Don't bury yourself in the back office no matter how important that work seems. Put yourself out there to be the friendly face of your business. Ask your customers questions. Find out what they like and what you might do better. Most importantly, get to know everyone -- regulars and first-timers -- so you can better meet their needs each time they come in. You want to build not just a customer base, but a community of people who consider you a friend with whom they like doing business.